“It's too late to sit around and wait for somebody to do something someday. 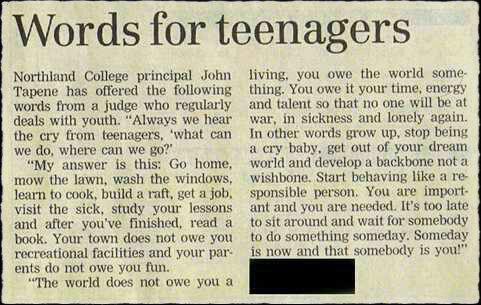 Someday is today and that somebody is you!” Tita shared this article to me and I was indeed struck by every single word. I just had to post this! Wonderfully said and so legit! It’s great to be back, to write once again and I have so much to write (and tell) about! 🙂 let’s get started! For the very first time in three years, my birthday fell on a weekend. It’s a Sunday morning, and I don’t feel like it was my big day. I woke up sad, not knowing why. Don’t you just dread that feeling, too? My mother and I planned a little celebration for the both of us today, since her birthday is tomorrow. I want to tell her that I don’t want to push through with that plan anymore, if she didn’t mind. No, not because I’m too lazy to get up, but I just want to sleep again and temporarily numb that feeling. But I didn’t. I didn’t want to ruin my mother’s party vibe. So instead, I force myself to take a shower, get dressed, and try my best to go along with her vibe. It’s pouring hard outside but that didn’t halt my mother’s enthusiasm. Even though our feet are already dripping wet and our clothes are also soaked because of that reckless jeep who speedily passed by as we were getting off our jeep, splashing rain water on our backs. Yeah. Thanks birthday, you’re already proving yourself as early as now. This is going to be, no doubt, my worst birthday ever. I think to myself as we enter the mall entrance. But alas! Despite my bitterness towards the matter, so far, I managed to attain great achievements. Or for so I could say… Winning the Student Council Elections served as a torch of new hope that I could get through this year alright, but not entirely scot-free. Getting along with subjects that I thought I would have a hard time with, such as Chemistry and Literature, gave me a much more stable feeling than what I felt during my summer days. And passing my quarterly exams for the first quarter killed the torment that had already made its nest in my head. This year is sure to be hectic and busy. So far, it already is. Just like last Monday, after school, Andie and I charged into the pouring rain to buy pieces of wood for our English project. We got home like mga basang sisiw. Then I stayed at her place with Chester ’til 9 in the evening just to work on the props. Luckily, classes were suspended the next day (which is today). I love Agusan Del Norte. I love each one of them. It’s the funnest section I’ve been part of since Basilan. Sarangani was nice, too, but I admit we lacked unity. In ADN, it’s very different. Whenever we have early/late breaks, we would gather and connect tables in the cafeteria and dine as one big family. Every Thursdays, after official class hours, we would organize a study group session, where we would discuss unclear matters of any subject, you name it. And my classmates are really reliable and true-to-word. They’re not that dependent on me, they could move on their own feet. It’s not pressuring me much anymore, unlike last year. Junior year’s surely not the year for you to think about procrastinating then cramming. Take it from me, you’re not going to make it out alive if you stick on your old ways of being a happy-go-lucky student. Fortunately, I changed my ways on the last minute. Gone are the times when you could do a project a day before the due date. And so are the times that studying the night before an exam could give you a fair mark. It’s not like that anymore. It’s way different from how it was before.